I am saying that my iPhone is just fine for me, let’s follow me to fix your problems. We can change fast, Normally depends on situations. Pick the best tips for what you should do when your iPhone XS Max Doesn’t charge or Charing slow after a long time. 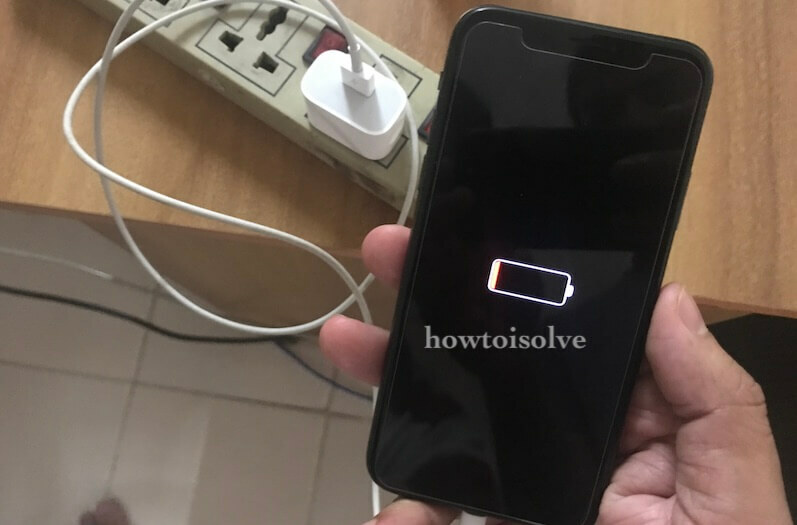 Think of the situation when you want to call or text someone very urgently, and your iPhone’s battery gets drained, and even after connecting charger it is not responding, how frustrating it will be for you. Or your iPhone XS Max is taking so much time to charge, what to do in that state? The first idea will come out of your mind will be to visit the Apple Centre to fix this weird issue. But before going to Apple Store, we would like to share some suggestions to fix iPhone XS Max won’t charge or charging slowly. There are many reasons behind this problem, some users don’t properly use their iPhone, or some are unlucky to have battery faults at such an early stage. Useful guide whenever you noticed symptoms like Phone won’t charge past 80, XS or XS Max won’t charge in Car or MacBook air or wirelessly, and quick fix Phone won’t charge to 100 percent after getting wet. You can temporary charge your iPhone fast using iPad’s Charging Adapter. To confirm that the charger is working correctly you have first to examine it by various experiments. First off, connect the charger with another iOS device and see if it’s responding, if not then replace your cable. Although, you should use another spare charger to make sure that any hardware part of iPhone isn’t damaged; While these experiments try to use different power source/sockets. In case if you have a wireless charger then check whether the charger is compatible with your iPhone or not. Besides, if any fault raised in wireless charger then also iPhone XS Max won’t need a charger or charger slow. Wait for at least Five minutes your iPhone will see apple logo in Charging mode. Doing this will force quit all the applications and functions running behind. Another reason behind iPhone XS Max won’t charge your iPhone is stuck on a black screen, and it is unable to show the charging indicator, and you are assuming your iPhone is not charging. So try this fix once. This trick also works while you Phone won’t charge past 85 or not charging more than 80. Step #3: Now, Hold down the Side button until you see the Apple logo on the screen. Many users use their phone until the battery is drained to 0% and then they are complaining their iPhone is charging slow. Definitely when the battery is drained entirely, then your iPhone will take a little longer to load. And if still after 30 or 40 minutes you didn’t find any charging indicator then like we said to change the cable or power source. You must try to connect your iPhone with a computer or laptop and see whether iTunes can identify your device. If iTunes is showing your device, then update or restore your iPhone right from the iTunes. Likewise, it is also a good solution if your adapter is corrupted then you will come to know by charging via laptop. Just keep in mind that your laptop screen is turned on. Check the Enable USB Accessories Settings. Or You should unlock your iPhone First using Face ID Or Passcode to permit the Third-Party Accessories like Car Play, PC or Mac. This solution will optimize the battery of iPhone XS Max, and it may increase the charging speed. To try this, your iPhone will require some battery. Most probably iPhone XS Max slow charging will be fixed by calibrating the battery. Step #1: Use your device until it shut down automatically after the battery drained. Step #2: Now to check the battery is thoroughly drained turn it on and wait until your iPhone XS Max turned off automatically. Step #3: So up next connect the charger and let your iPhone gets fully charged to 100%. Step #4: Remove the charger and turn on the device. Step #5: Check the battery indicator is showing 100% battery or not. If not then connect the charger and only disconnect when it reaches 100%. Step #6: Restart the device and disconnect the charger after the battery is full. Step #7: Again use it until its battery runs out and shuts off automatically. Step #8: Again charge iPhone XS Max to full. Step #9: Start your iPhone. This is how the battery of iPhone gets calibrated, and from now you can charge and use mobile whenever you want. Mostly Old iPhone suffering Battery problem because of expired predefined number of charging cycle. But in some case faulty battery showing the same problem as this. Solution #7: Turn off Background app refresh or unused app that Draining Battery while it’s in charging mode. Mail app, GPS Games and app always run in the background, that all apps we can manage by disabling background app refresh. Also Turn off Personal Hotspot. Settings app > Personal Hotspot. • Do not use any other charger and accessories except OEM. • Don’t use the iPhone when it is charging. We will update you on this page as per apple user’s recommendations and Real problems that come in the next days. So Come back here and Read new tips and tricks daily on howtoisolve and YouTube channel as well.